Accidental or not, eclectic, colourful and just a hint of yesteryear, The Independente is something straight out of a Wes Anderson film. With private suites as well as a hostel, rooftop bar and restaurant, a nondescript, faceless hotel this ain't. Bright pink and turquoise walls and neon lights sit happily in what appears to be an unassuming, typical Lisbon building from the outside. Lisbon feels like a city that's constantly evolving. Probably because it is. The39a Concept Store reflects that, with the fashion, beauty and lifestyle brands in stock changing every month and art installations to rival any gallery. Expect local clothing and jewellery designers, ceramics and maybe the occasional surf board. Do NOT buy a surfboard from Lisbon. You don't need it. The Tagus River runs alongside Lisbon, so it's only right that you do something water-related. The 16th century tower on the edge of the Tagus was originally built to defend the city against invasion, but now it mainly welcomes tourists to tour the cavernous inside as well as admire the exterior. This is historical tourism at its most 'grammable. Dreamt up by the bods at Time Out Portugal (explains the name, we suppose), the market houses a not-so-modest 24 restaurants, eight bars, a cookery school and several shops as well as being a music venue. The original market sellers still sell their produce Monday to Saturday in the other half of the 19th century building. Perhaps not the hugest surprise then that the market is now one of the city’s absolute imperatives for visitors like YOU! If you’re after a daiquiri or two during your stay, the Bairro Alto area is a must, where the narrow streets are dotted with small, noisy bars. 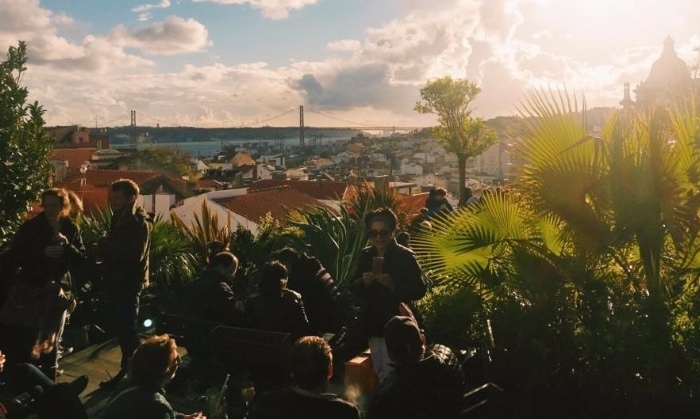 And in Bairro Alto, you’ll find PARK, a rooftop car park that has been turned into a cool, green oasis of a bar that overlooks the city. They don’t do reservations, but if you’re lucky, you might catch an outdoor film showing or a hip DJ. This is also our sunbathing spot of choice and provides an immaculate view of the Golden Gate Bridge-esque 25 de Abril Bridge.